Wind River® has announced that Astranis Space Technologies Corp. is using the company's VxWorks® real-time operating system for its next generation satellite that will deliver cost-effective, high-speed internet to underserved markets. More than half of the world doesn't have access to the internet — and satellites are expected to play a major role in solving that problem. Astranis is building satellites that are capable of delivering broadband internet services to individuals around the globe. It targets areas where, due to the high cost of building the infrastructure, broadband internet isn't widely available or is completely unavailable. Astranis will use VxWorks to run the main flight computer that controls the avionics in guiding the satellite and keeping it in communication with Earth. Astranis recently announced that its first satellite will be going over Alaska, in partnership with Alaska-based internet provider Pacific Dataport, Inc. 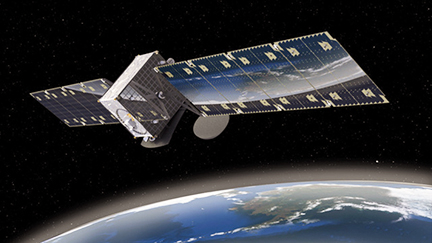 Artistic rendition of the Astranis satellite. Wind River’s comprehensive software portfolio for the edge supports a diverse range of customer journeys in aerospace and defense, from design to development to deployment, with technologies that span across real-time operating systems, open-source-based platforms, system simulation and virtualization. In addition to its market-leading VxWorks for safety- and security-critical environments, the company offers Wind River Linux and other commercial-grade open source technologies for general purpose functions. The recently launched Wind River Helix Virtualization Platform is for consolidating multiple federated systems with both safety-critical and general purpose applications onto a single compute platform. For system simulation enabling unmodified target software to run on a virtual platform the same way it does on physical hardware, the company offers Wind River Simics®.